Jabarifard F, Samani M, Ghafarinejad F, Pirouzi S, Rasouli J. Comparison of balance in seated and non-seated employees of Shiraz University of Medical Sciences. Physiotherapy Quarterly. 2019;27(1):35-38. doi:10.5114/pq.2019.83059. Jabarifard, Fatemeh, Mahbobeh Samani, Farahnaz Ghafarinejad, Soraya Pirouzi, and Javad Rasouli. 2019. "Comparison of balance in seated and non-seated employees of Shiraz University of Medical Sciences". 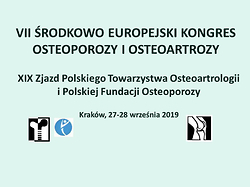 Physiotherapy Quarterly 27 (1): 35-38. doi:10.5114/pq.2019.83059. Jabarifard, Fatemeh et al. "Comparison of balance in seated and non-seated employees of Shiraz University of Medical Sciences." Physiotherapy Quarterly, vol. 27, no. 1, 2019, pp. 35-38. doi:10.5114/pq.2019.83059. Developments in modern technology in occupational settings have resulted in prolonged sitting at the workplace. Prolonged sedentarism may cause musculoskeletal complications and impaired balance. The present study aimed to evaluate balance in employees working in a seated position for more than half of their working day compared with employees working in a non-seated position. Overall, 100 employees entered the study and were divided into the seated (n = 50) and non-seated (n = 50) groups. The star excursion balance test was used to measure dynamic balance in the lower extremities. Independent t-tests were applied for between-group comparisons. The star excursion balance test scores were significantly lower in the seated position group compared with the non-seated position group. We conclude that dynamic stability is lower in employees working in a seated position compared with their non-seated counterparts.